A partnership between the Bookend Trust and the Derwent Estuary Program. The major Expedition Class project for K-6 students in 2016 was a high country and river adventure. 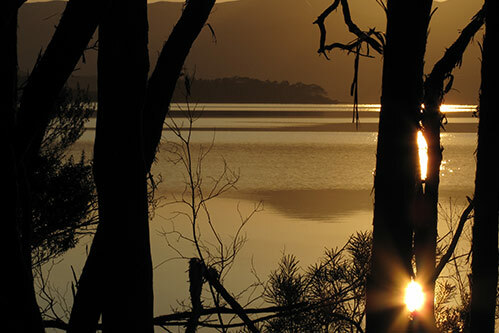 Beginning on 1st August we set off into the Tasmanian wilderness near Lake St Clair. For the first week Andrew was joined by a team of Year 10 students and scientists as they searched for some cryptic creatures called freshwater burrowing crayfish and began exploring the upper catchment. When the high school team departed Andrew made his way by foot further into the mountain peaks and then followed a trickle as it turned into the powerful Derwent River. We traversed the length of the river as it made it’s way down to Hobart and then out into the salt water of the Southern Ocean. Our major partner, the Derwent Estuary Program, helped us understand the issues and challenges facing river catchments. Full Australian Curriculum aligned lessons are still available to classrooms as they relive the adventure.